Debbie Bristol TCRG, started her Irish Dancing career at the age of 6 in Boston, Mass. Her Dublin born mother Rosanna, inspired Debbie at an early age. As a successful champion dancer, Debbie danced under the direction of Josephine Moran ADCRG. Miss Bristol became an accomplished dancer at a time when Irish Dance was mainly in Ireland and had just started to become global. Debbie was the 1st Irish Dancer in Hampton Roads to be awarded her TCRG designation from an Coimisuin le Rinci Gaelacha (CLRG) Dublin, Ireland. The CLRG is the largest and most prominent Irish Dance organization in the world. Miss Bristol was also the 1st certified Irish dance teacher to bring the exciting world of Irish Dance to the Hampton Roads area over 20 years ago. At the time, it was a location that wasn’t quite sure what this amazing art form was all about. That has all changed since Debbie founded the 1st Irish dance school…the Rhythm of Ireland School of Irish Dance! Miss Bristol was also the 1st to bring a sanctioned Irish Dance competition to the Hampton Roads area with the Rhythm of Ireland Feis held in Williamsburg, Virginia for the past 18 years exceeding over 700 competitors from all over the USA. 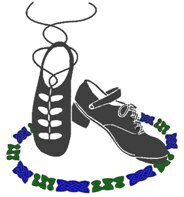 The ROI Feis is hosted by the Rhythm of Ireland Booster Club, a 501(c) 3 organization. Miss Bristol has trained some of the most successful Irish dancers including World medalists, National medalists, Regional Solo Champions, as well is dancers that were picked for major Irish Dance Shows including Celtic Fyre at Busch Gardens Williamsburg. Debbie is an innovative, certified Irish dance teacher and provides a safe and encouraging dance environment for all ages and all levels! Anthony Fallon TCRG, started dancing at the age of three following in his sister footsteps, taking tuition under Terry Gillan and Philip Owens in Dublin, Ireland. Anthony started competing at the age of six and went on to have a very successful competitive career. Anthony’s main highlight of his competitive career was being crowned the World Irish Solo Dance Champion four times consecutively from 2000 till 2004. Anthony has also gone on to win every other major title in the Irish dance calendar from the British Nationals to the North American and Great Britain Dance Championships. During Anthony’s competitive career he started performing with Busch Gardens Williamsburg. After catching the touring bug Anthony was invited to start touring with Riverdance the show. He toured Europe, Asia and North America with the production enjoying every minute of it. Anthony was offered the Principal position after two years of touring with the show and has performed for some of the worlds best-known dignitaries including The Queen of England, Barrack Obama and the President of China. Anthony has also worked for the Uachtarán Na Héireann (The President of Ireland) as a special guest for many of the presidential dinners and dignitaries visiting Ireland.